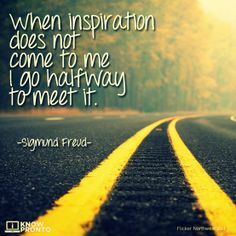 Where will you find your inspiration today? How long does it take to feel gratitude? It only takes one bird to serenade the sunrise. It only takes one friend to make life worth living. It only takes one inspiration to ignite your ambition. It only takes one kind word to make you feel valued. How does nature inspire you? Nature goes on giving us inspiration…amazing…. How far will you go to be inspired? Who can stop you from being you? “No-one can stop you enjoying this day. No-one can stop you from appreciating yourself. No-one can stop you from being grateful for everything. No-one can stop you from feeling better about this moment. What does it take to help you to feel gratitude? Jeff Mullan Inspirations and Images shared Jeff Mullan‘s photo. “It only takes one flower to make a forest beautiful.